The 2019 Commodore's Open Classic Regatta at beautiful Huntington Lake, CA is brought to you by the MHRA only a few days after the Summer Solstice and with an 70% visible moon. With the best lake sailing in the world, the amazing views and camping are just a bonus! The wind starts up around 11am daily at 12-18 knots and shuts off daily at around 5pm. The large beach allows catamarans, Moths and A-Cats to launch and park easily as does the large parking lot and ramp for all other classes. Camping is available at reserved camp sites or cabins. Classes: A-Cat, Moore 24, Wabbit, Weta, Moth, Day Sailor, Open Centerboard, Hobie 14, Hobie 16, Hobie 18, Hobie 20, F18, Open Multihull and other. 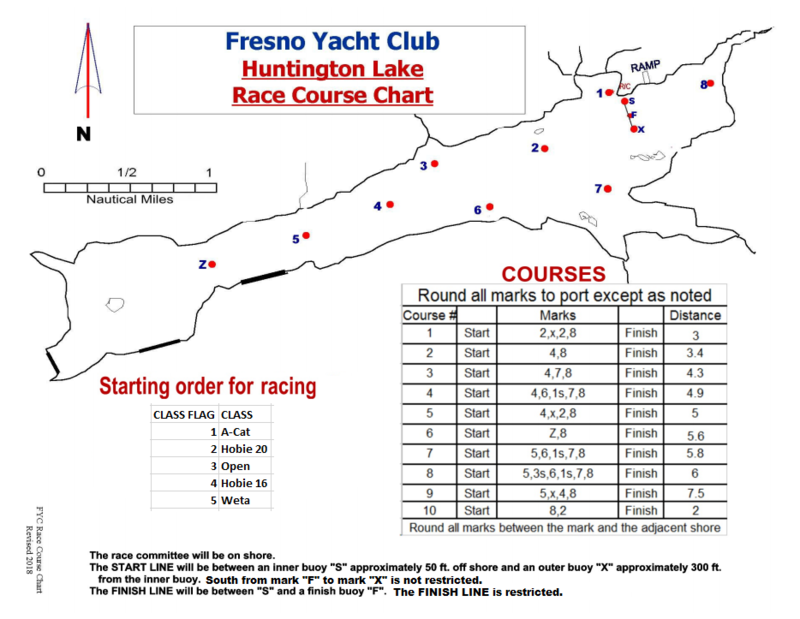 ELIGIBILITY: Open (Current 2019 boat registration is mandatory) RULES: The Racing Rules of US Sailing/IHCA Class Association of North America. Regatta Entry - $80.00 Includes 1 Dinner and 1 Regatta T-Shirt* Additional Dinner Saturday - $15.00 Additional Regatta T-Shirt - $15.00 *Please register and pay by June 20, 2019. Registration after June 20 will not guarantee availability of dinners, t-shirts and sizes.